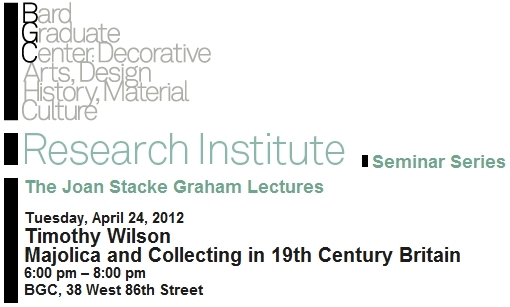 The first ever Joan Stacke Graham Lecture has been scheduled for April 24, 2012. Attached is the contact information and address. 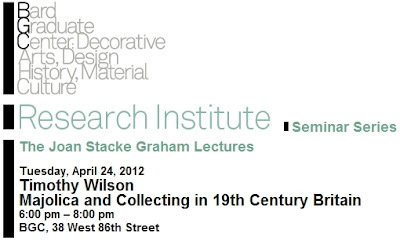 This lecture is a joint project by the Bard Graduate Center and the Majolica International Society.